With a stone laser engraving machine carving pictures into stone, a permanent souvenir, which has become the fastest growing part of the field of laser engraving, and it is becoming increasingly popular. 1. stone: Is another kind of natural stone, which is suitable for laser engraving. Compared with marble, slate texture slightly soft, slightly rough surface. But because the slate is derived from sedimentary rock, fine texture, uniform color diversity, laser carving is widely used to decorate the walls, floors. 2. marble: In personalized carving, marble is the best raw materials, the texture of marble and color solemn, whether black, black, dark green, rose or white, give a very elegant beauty. Therefore, in the already has many traditional products, based on the recent development of laser technology to carve photographs, images and text, popular. 3. granite: Very hard and durable, widely used in prizes, souvenirs, and architecture. Granite belongs to limestone system, its obvious feature is spotted, colour and lustre is give to the aesthetic sense of the appearance of the "salt and pepper", some also have a marble texture. It can accept a variety of polishing and finishing processing. In view of granite color and more, especially black-and-white granite used in laser engraving text, images, etc., very attractive. 4. sand: As the name suggests, is a natural sand gravel condensation. Sand color is produced by the hard stone washing process of mineral grinding. Because the sand is a mixture of various kinds of desertification, the texture is soft, laser engraving of the effect is very good. 5. lime stone: This stone is by geothermal precipitate slowly evolved, produced by the mineral rich mineral water temperature carbon dioxide bubbles "hole", and a unique sense of beauty, the main colors are dark brown or black. In addition, red and Brown are also common, used for flooring and wall decoration. 6. River stone: River stone at the bottom of the river many years washing, so that they become smooth, shaped and bright. The ideal river stone type is a flat, bright black. River stone laser carving products will be in the company gifts, park decoration and other fields to gain a place. If you get involved in the industry, it is necessary to learn and master some of the recognition and processing of knowledge and technology, in order to achieve the effect of professional standards. The first consideration is the quality of the stone. When using the stone Laser engraving machine, we should also consider the color and size. The carving effect is good and bad, the key is to adjust and control the power and speed of the laser system of the stone laser engraving machine. Among them, a common problem is carved stone laser engraving machine motor power is too high, easy to cause the fuzzy perception, to reach the desired color. This method is called direct engraving method, that is, to determine the image to be carved, image, etc. by laser to change the color of the direct projection to the stone. In addition to direct engraving, you can also add color to the stone carvings on other colors. The invasion of color is mainly caused by laser emission and polishing. To add the color of stone carving products, the most popular color of gold, silver and bronze. The effect of a good product, painted into colors such as ink to write the same exquisite. After the color cast, and then polished polished, it really can achieve the most beautiful effect. 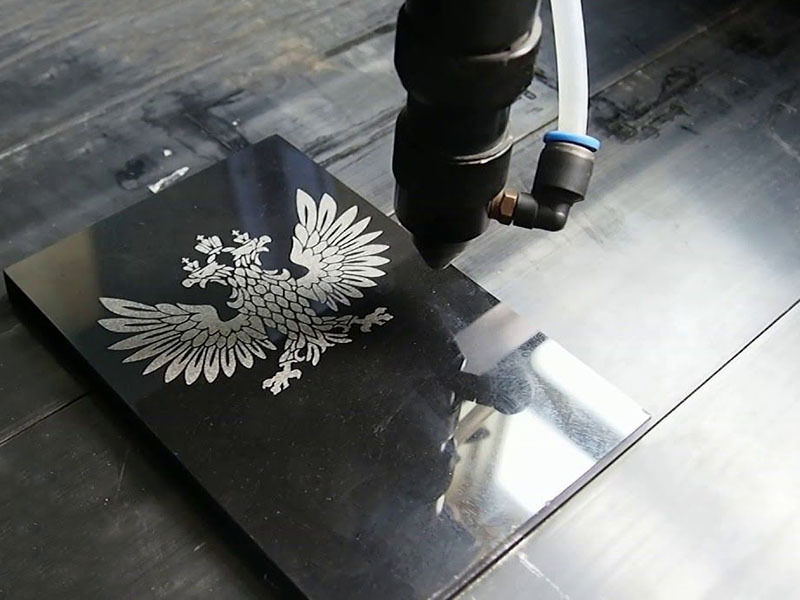 License: The text of "Stone laser engraving machine applications and useful skills" by STYLECNC is licensed under a Creative Commons Attribution 4.0 International License. • Previous: How to buy a suitable plasma cutter?